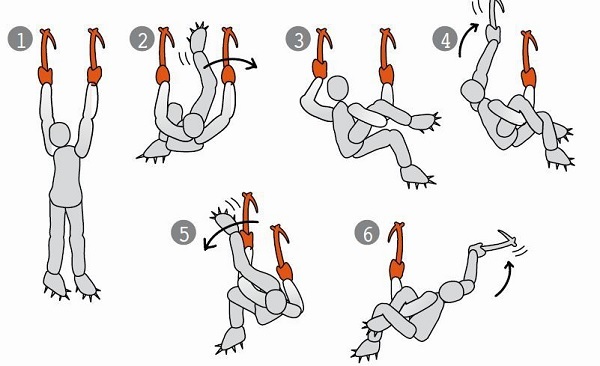 There are moves that are specific to every climbing discipline. 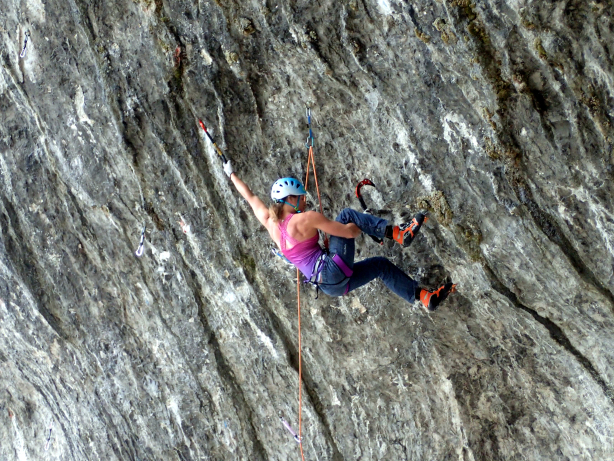 Ice Climbing and Mixed Climbing are no exception. Let’s get ready for them. For maximum indoor training benefit, use a pair of dry ice tools since the handles are designed to be used without gloves. Of course, like most things in climbing there is a small controversy about using the fig 4 or fig 9. The core of the argument is that, like the now much reviled heel spur, the maneuvers make the climb too easy, are technically repetitive, and that nobody does these moves in the mountains. 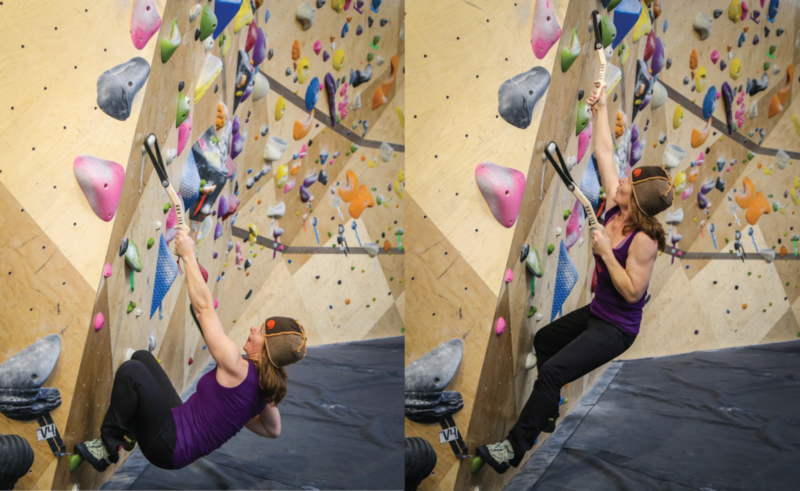 All those reasons hold water, but the one that may be most relevant is that these moves can be extremely destructive to a climber’s shoulders. 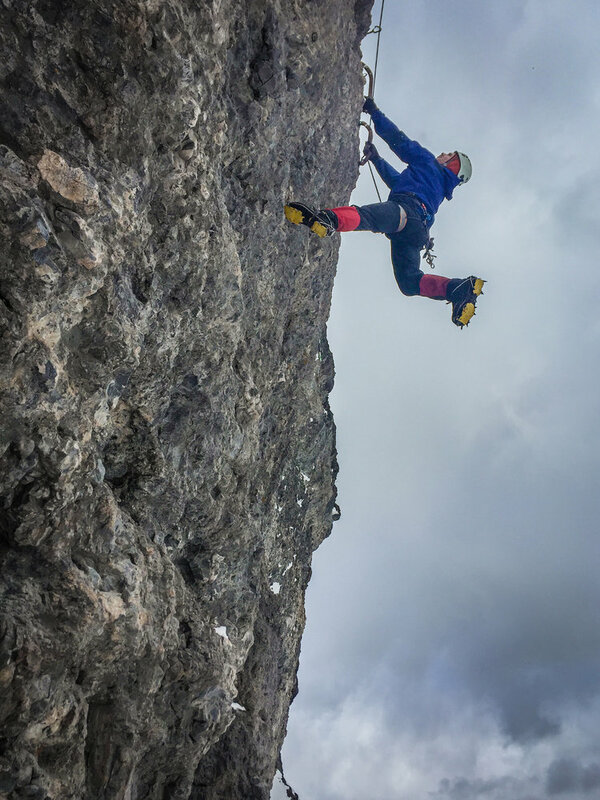 If you want to climb for a long time, limit your use of these moves. The idea with the Figure 4 is to use your own body to leverage your reach even further. The move becomes necessary when getting your feet on severely overhanging terrain becomes an inefficient use of energy. There is really only one way to prepare for this awkward maneuver, and that’s to do it. Find a solid place to hang from with the dry ice tools and use a spotter, bring your legs up, wrap your left leg over your right lower arm / wrist, extend your left leg, and get into a Fig 4. The closer to your wrist, the further you can reach. Unwind, drop your legs without touching the ground, repeat on the other arm with opposite leg. Continue for 10x. Rest. Do it again. 3 sets. These are essentially the same move, but instead of wrapping your leg over the opposite arm/wrist, wrap it over the same arm/wrist, i.e. left leg to left arm. Remember, the closer you can get the back of your knee to your wrist, the more effective the maneuver. Why? To get ready for those inevitable and ridiculous long reaches need to get to the good placement when coming out from under an overhang. Place a DRY ICE Tool on a hold, feet on holds low on the wall. The steeper the wall, the better the better the workout. Reach as high as you possibly can with opposite tool, Lower down slowly. Repeat. Extra points if you add weight to the reaching tool. Why? To get comfortable being upside down and using abs to get to the next placement. While you need some specialized equipment and a spotter for this, if you have access both, you are in for a treat. Using an Inversion Table, Hang Up Gravity Boots, or if you just your gym’s Ab Bench, get into position and work those abs. If you don’t have access to that equipment, using your gym’s Ab Bench on it’s highest setting will suffice. Do not just say ‘F-that, no way’. Just try it, even if you do just one, or even ½ of one. Work up to these. When you can knock out 10-12, a whole world of sick, overhanging mixed routes will open up to you. In our next post we will dive into the Head game. Lay a strong base line and continue with your foundation workout now to be prepared for the challenges ahead – Part 7 of this training for ice climbing series will come out next week! 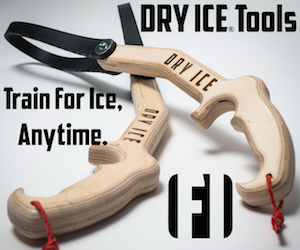 Does your climbing gym not allow picked ice tools in their facility?